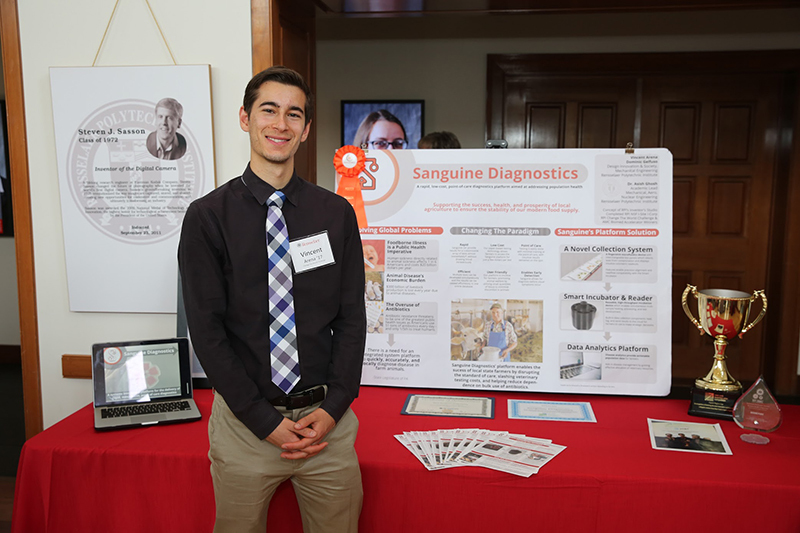 Sanguine Diagnostics provides a rapid, low-cost, and point-of-care delivery platform with the mission of translating emerging technological breakthroughs around paper-based diagnostics to applications in which they can improve the standard of care for patients worldwide. An inability to implement effective, low-cost, decentralized solutions has led to an exacerbation of global healthcare inequities such as delays in disease screening, uninformed care decisions based on insufficient diagnostic data, high levels of transfusion-transmitted infections, and wastage of blood products. The Sanguine Diagnostics Platform (Patent Pending) will enable high throughput clinical applications, help to eliminate inefficiencies and shortcomings of centralized testing centers, and allow for the advancement of global health through analytics of population/patient data to determine disease trajectory, pandemic characteristics, and appropriate responses.